Pila has two centres – one is the old town of Aosta, which is gondola-linked, but 18km away. 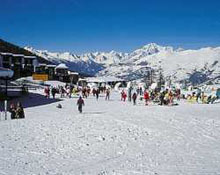 The other is Pila itself - a modern resort, sat right next to the slopes. Aosta has plenty for the non-skier to do, including shops, cafés and historic sites. 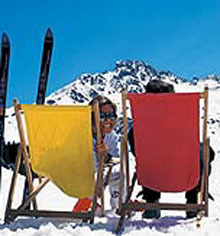 Pila is mainly for those whose emphasis is on skiing, with limited après-ski and nightlife. Aosta is a cheaper place to stay in, but you can't ski to your door, whereas you can in Pila itself. In terms of the slopes, there are 70km locally with a good snow record and access to the near 800km offered by the entire Aosta Valley. 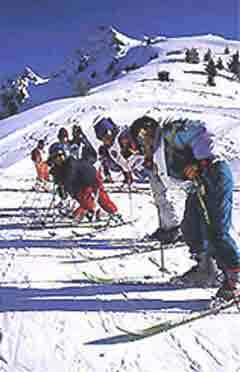 Pila favours beginners, intermediates and especially families. This is a very Italian resort, so other languages aren't spoken a great deal at the ski school. Better skiers don't have too many challenges either, although there is heli-skiing on offer. 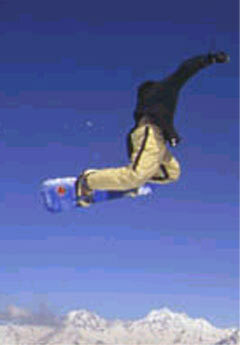 Boarders will like Pila, with its half-pipe and jumps. The people are very friendly, the lift system is excellent and the scenery is awesome, with Mont Blanc in the distance. Overall, you'll have a choice of where to stay, with each location having its pluses and minuses. We recommend staying in Pila, but if you want a day off the slopes, take the gondola down for lots of non-skiing activities. If you have a car, Courmayeur, La Thuile and Cervinia are relatively close by for more varied skiing. 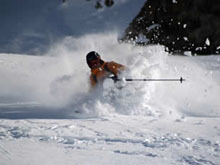 Purpose built with most most hotels offering doorstep skiing. Slopes are well groomed.